News | How to love Igbo things (or what you will). My story ‘The Fixer’ is out in Sub-Q magazine on the 22nd of September. Save the date and remember, this has been made into a non-linear tale, so it should be fun! Click here to bookmark the page. Also, check out the FAQ on that page for warnings about the story. HILARIOUS! To read the story as it originally appeared on this blog, click: Part 1 and Part 2. I love speculative fiction. And I love Igbo culture. Put them together and what do you get? Is this cover not delightfully creepy?! Omenana is the igbo word for ‘culture’, specifically the traditional beliefs and practices of Igbo people. 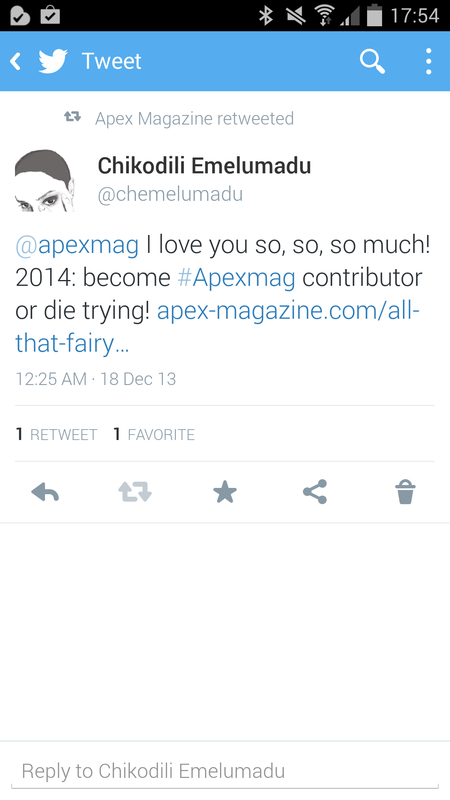 The magazine is NOT just for Igbo stories though. 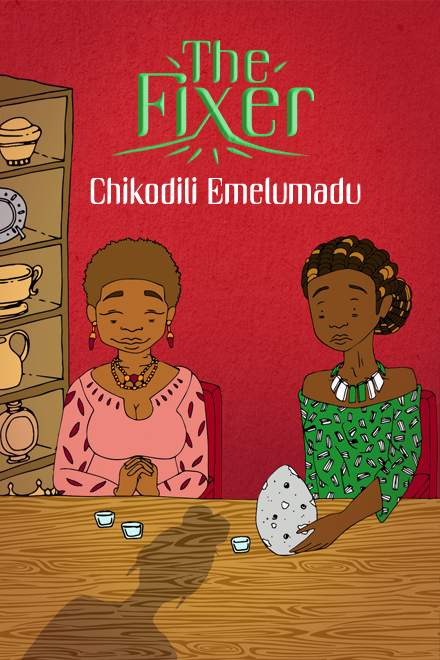 It’s an African spec-fic magazine founded by Chinelo Onwualu and Mazi Nwonwu, who are both Igbo. I am happy this forum exists. Click on the cover to get to the website. A new issue will be available every month. Plenty of time to tweak those stories and send them in, guys! Don’t be like me. I was asked to submit something for this issue, but I had nothing ready. I could have been in this line-up! Did I mention Tendai Huchu has a story in it? I am pleased to announce that I have a short story appearing in Apex Magazine next month. Excited! I made a promise to myself, then I tried (and failed) and tried again and it came true! I mean, you have all these Hugo and Nebula and WSFA award-winners contributing to the magazine. And then there’s little ol’ me. Have I said how excited I am? I am so happy I fulfilled this promise to myself. And as they’re having me narrate my story for the podcast, I just might die from glee. You can hear their previous podcasts by following links here. I joined their list of narrators after my piece was accepted for publication a few months ago. I narrated ‘Jupiter and Gentian’ by Erik Amundsen. I really enjoyed reading it – in fact, I have got bits of it still stuck in my head.